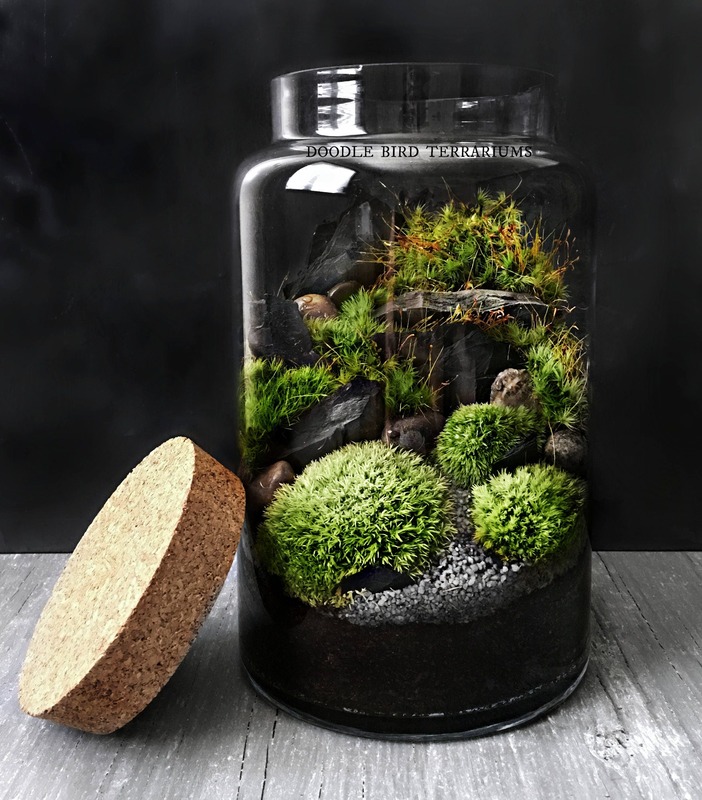 A large glass jar houses a miniature landscape made up of several varieties of live moss and slate rock "mountains". This terrarium is easy to care for and requires only minimal watering and indirect light. Each piece comes with complete care instructions and free mini spray bottle for easy watering.